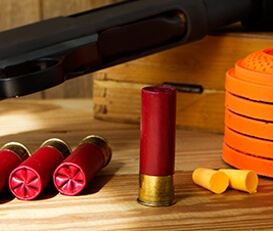 new to learn in the world of shotgun-shooting. 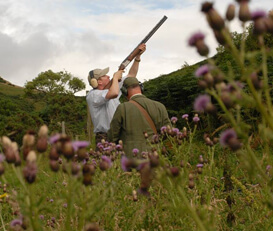 Clay Pigeon Scotland (in our various guises) have a long and distinguished history of providing Corporate Events and Hospitality on behalf of major private companies and charities. We can host on our own beautiful countryside site in the Touch Hills above Stirling (approx. 10 minutes from the city centre), or we can host on a site of your choosing (assuming suitability). Whether your event is a “thank you” for your staff, a team building event or even Corporate Hospitality for clients we can offer you the best facilities and the benefit of many years’ experience in the field. In addition to our standard packages we offer a fully bespoke service to allow you to customise your day to your own requirements. Please contact us through the enquiries form for details. 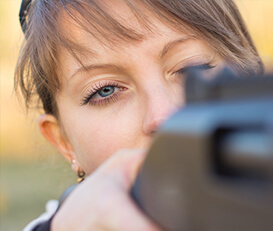 Shooting Tuition It never ceases to surprise me how so many keen game shots do not consider taking practice and instruction or are even dismissive of the notion of “shooting clays”. 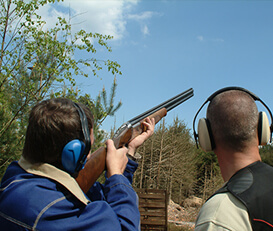 Experience Days For those wishing to “try out” clay target shooting we offer comprehensive Clay Pigeon Experience packages at our site near Stirling, Central Scotland. Stag & Hen Parties Whether you have never shot before or have an eye for shooting, Clay Pigeon shooting is a bit of fun before the big day! Corporate Events Maintain your staffs positive attitudes with a motivational reward - a great dayout shooting clays! © 2018 Copyright Clay Pigeon Scotland, Stirling, FK9 4ND. All rights reserved.